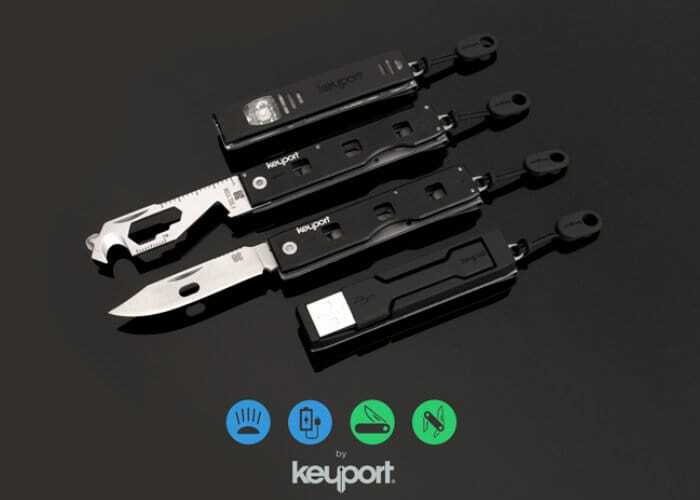 Keyport has created a new modular multitool range of pocket sized gadgets which take the form of the Anywhere Tools system which is now available to back via Kickstarter and has already raised over $63,000 thanks to over 1000 backers with still 24 days remaining on its campaign. Watch the demonstration video below to learn more about the ultimate everyday modular multitool carry system. Modules are easily added or removed from the Pocket Clip, Pivot or Slide with our RuSH Module Removal Tool or a heavy-duty paperclip, pen, or other device with a simple point. All of the modules in this campaign are compatible with both the Keyport Slide 3.0 which is sold separately and the Keyport Pivot which is available as an add-on purchase. For more details on each individual component and purchasing options jump over to the official Anywhere Tools multitool crowdfunding campaign page by following the link below.